Defending champions Rangpur Riders and Khulna Titans will lock horns in the fourth match of the Bangladesh Premier League 2019 on Sunday at Sher-E-Bangla National Stadium in Dhaka. BPL 2019: Khulna Titans vs Rangpur Riders Match 4 Live Cricket Streaming And Updates: Defending champions Rangpur Riders and Khulna Titans will lock horns in the fourth match of the Bangladesh Premier League 2019 on Sunday at Sher-E-Bangla National Stadium in Dhaka. Rangpur Riders had a disappointing start to the season as they were thrashed by Chittagong Vikings in the opener of the 2019 edition. While chasing the target of just 102 runs, they were bowled out for 98 runs in 19.1 overs as star players like Chris Gayle and AB de Villiers didn’t feature in the opening game. Meanwhile, Ravi Bopara was the lone batsman who top-scored for the side but didn’t make it to the target. There are chances of Chris Gayle playing this game in place of South Africa’s Rilee Rossouw, who scored only 7 runs in the opening game. Whereas for Mahmudullah-led Khulna Titans, this will be their opening game, which features the players like Brendan Taylor, Carlos Brathwaite, and among others will look to begin their BPL campaign with a win over the defending champions. What time does the Khulna Titans vs Rangpur Riders match in the BPL 2019 starts? The Khulna Titans vs Rangpur Riders match in the BPL 2019 starts at 4:50 PM IST, January 6 (Sunday). Where is the Khulna Titans vs Rangpur Riders match in the BPL 2019 being played? 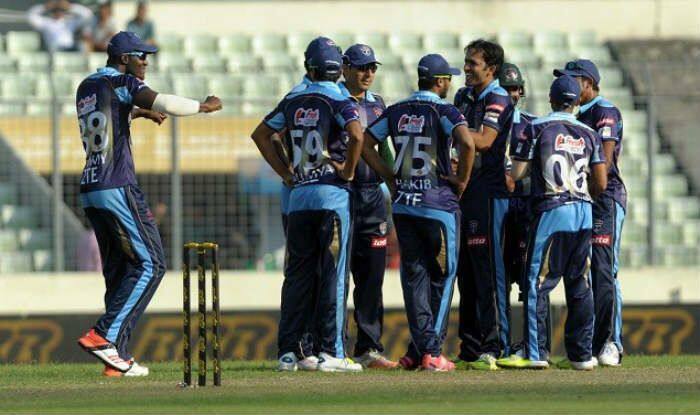 The Khulna Titans vs Rangpur Riders match will be played at the Shere-E-Bangla Stadium, Dhaka. The Khulna Titans vs Rangpur Riders match in the BPL 2019 will be live broadcast on DSport in India. How to watch the free online live streaming of the Khulna Titans vs Rangpur Riders match in the BPL 2019? The free online live streaming of the Khulna Titans vs Rangpur Riders match in the BPL 2019 will be available Youtube. What are the probable playing XIs of Khulna Titans vs Rangpur Riders match in the BPL 2019?